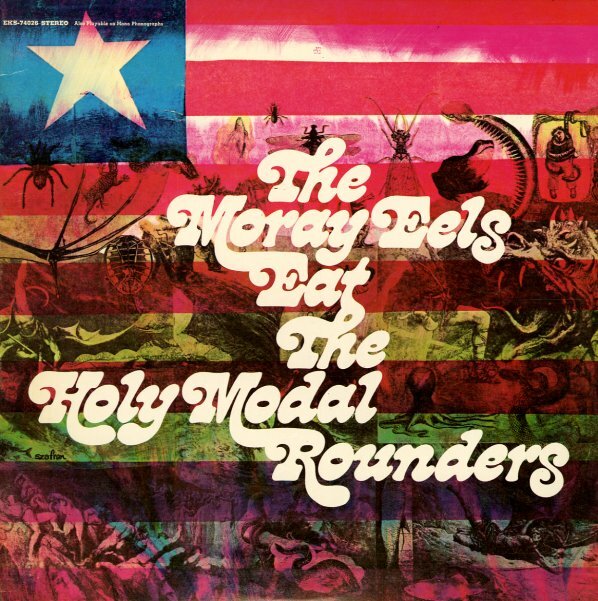 The Holy Modal Rounders in all of their glory – weirder and even more hard to define than ever before – but maybe a bit more focused and tuneful than during the time that founders Peter Stampfel and Steve Weber spent in the Fugs! The group here also includes the young Sam Shepard – which maybe gives a slightly more theatrical bent to the album – almost this offbeat songcycle from the darkest corners of America, circa 1968 – in a mode that's sometimes more comfortable looking at the past through a psychedelic kaleidoscopic mirror, rather than face forward towards the future. Titles include "Dame Fortune", "Bird Song", "One Will Do For Now", "The Pledge", "Half A Mind", "My Mind Capsized", and "The Duji Song". © 1996-2019, Dusty Groove, Inc.